Training course B810 is a version of A811 that addresses an audience not familiar with Microsoft Identity Manager or Identity Panel. 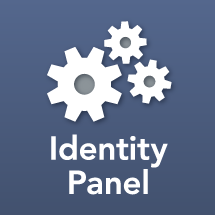 Therefore, additional time is spent tying Identity Panel into a lesson into the underlying system with a focus on MIM, ServiceNow, Active Directory, and SQL. This course is especially helpful when needing to train a Service Desk. This course is not included in any of the Identity Panel Knowledge Packages, but is purchased separately.